Professor Reséndez will talk about his book during a colloquium to be held Wednesday, Oct. 12, in honor of Indigenous Peoples Day. The colloquium is sponsored by the Department of Native American Studies, the Indigenous Research Center of the Americas, the Strategic Native American Retention Initiative and the Hemispheric Institute on the Americas. The free program is scheduled from 2:10 to 4 p.m. in 3201 Hart Hall. A sweeping history by Professor Andrés Reséndez, The Other Slavery: The Uncovered Story of Indian Enslavement in America, is in the running for a 2016 National Book Award. Five finalists will be announced on Oct. 13, and the winner named at a Nov. 16 ceremony in New York. 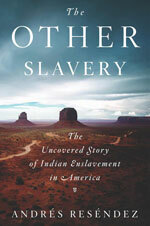 The Other Slavery, published last spring by Houghton Mifflin Harcourt, tells the story of the enslavement of tens of thousands of Native Americans from the time of the conquistadors up to the early 20th century, and builds the case that slavery decimated native populations across North America more than commonly cited epidemics. “It is wonderful that a book on a gloomy subject like the enslavement of Native Americans in North America can still find a place in the longlist of the National Book Award,” Reséndez said. The research is clear: academic advising increases student success. Possessing a knowledge base that straddles both academic and student affairs, crosses institutions and extends into the community, academic advisors are cultural navigators who teach students how to articulate and achieve their educational goals. For master academic advisors, professional development is ongoing; learning never ends. Carolyn Thomas and Brett McFarlane, leaders of Undergraduate Education and its Academic Advising unit, respectively, are the authors of a chapter in the new book Beyond Foundations: Developing as a Master Advisor. “Experienced academic advisors, equipped with an effective toolset, and united in approach, can serve as transformational campus change agents for advising excellence,” McFarlane said. Thomas, a professor of American Studies, serves as the vice provost and dean of Undergraduate Education. In her role as an administrator, she researches, writes and speaks on the importance of enhancing advising on university campuses, and the advantages of hybrid and adaptive approaches to classroom pedagogy. McFarlane is the executive director of Academic Advising for Undergraduate Education, leading the development and implementation of a comprehensive, campuswide plan for the improvement of undergraduate academic advising. 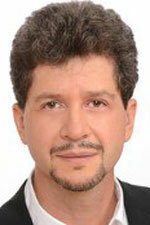 He has held various leadership positions in the National Academic Advising Association since 2006.